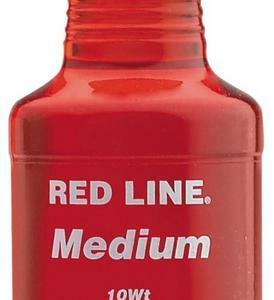 Red Line 91132 Suspension Fluid - Medium - 10W - 16oz. 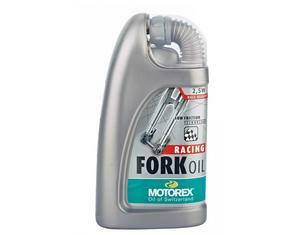 Motorex 154036 Racing Fork Oil - 2.5W - 25L. 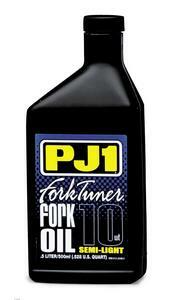 PJ1 2-10W Gold Series Fork Tuner Oil - SAE 10W Lite - 1/2L. Consistent, smooth damping action in all temperatures. Fine-tune your ride for personal preference. Non-foaming, non-fading formula. 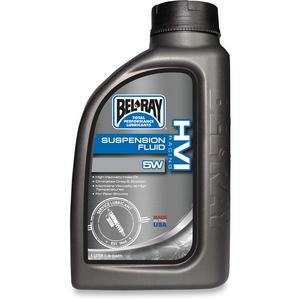 Bel-Ray 99390-B1LW HVI Racing Suspension Fluid - 15W - 1L. 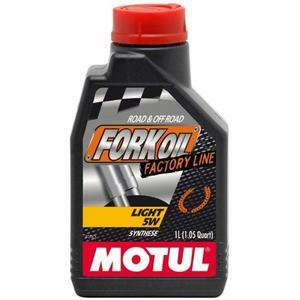 Motul 105929 Expert Fork Oil - 5W Light - 1L. Contains a unique antifriction additive that protects, seals and makes sliding smoother and easier. Elastomer and oil compatible. For standard forks, upside down forks and forks with cartridge. 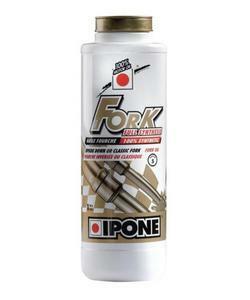 Ipone 800212 Fork Synthesis Fork Oil - Grade 5W - 1L. Advanced-formula front suspension fluid. Reduced wear and corrosion and oxidation resistance comes from a special additive. 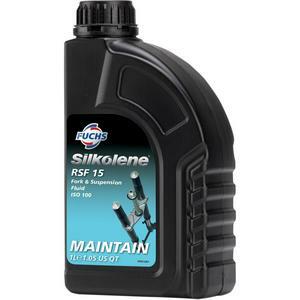 Silkolene 600991166 Pro RSF Fork Oil - 7.5wt. - 1L. 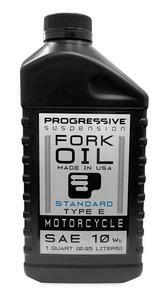 Progressive Suspension 31-0010 Fork Oil - 10W - 1qt. PJ1 2-7.5W-1L Fork Tuner Oil - SAE 7.5W Lite - 1L. Consistent, smooth damping action for more predictable ride in summer or winter temperatures.. Fine tune your ride to personal preference.. Contains preservative to prevent messy seal leaks.. Non-fading, non-foaming formula..
Torco International Corp T830005CE RFF Racing Fork Fluid - 5W - 1L. 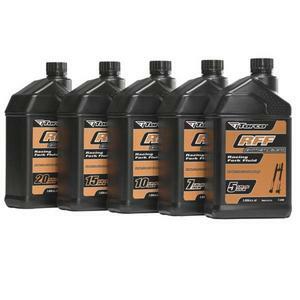 Silkolene 600991180 Pro RSF Fork Oil - 15wt. - 1L. Bel-Ray 99300-B1LW / 94700-BT1LC High Performance Fork Oil - 5W - 1L. Torco International Corp T830020CE RFF Racing Fork Fluid - 20W - 1L. Bel-Ray 99310-B1LW High Performance Fork Oil - 7W - 1L. 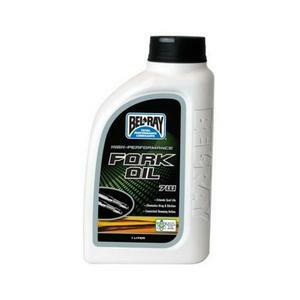 Bel-Ray 99310-B1LW / 94730-BT1LC High Performance Fork Oil - 7W - 1L. 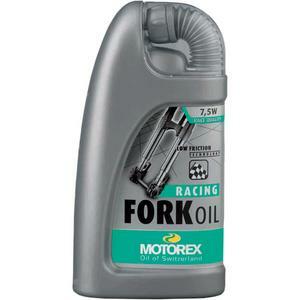 Motorex 102334 Racing Fork Oil - 7.5W - 1L. Special fork oil for optimum absorption at all temperatures. Protects against foaming and corrosion. Includes maintenance pack for gaskets. 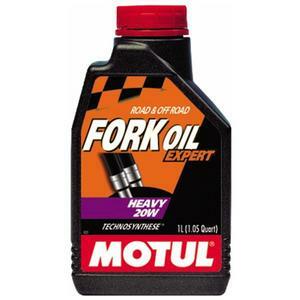 Motul 105928 Expert Fork Oil - 20W Heavy - 1L. 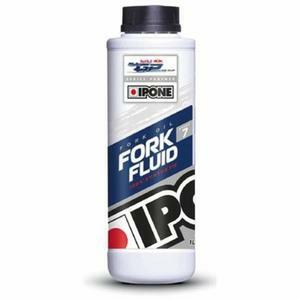 Ipone 407 Fork Fluid Oil - Grade 7W - 1.5L. 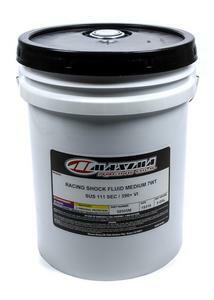 100% synthetic lubricant developed in competition research, specially designed for forks subject to very high stress. Anti-friction and anti-emulsion formulation ensures perfect operating stability. Sold per bottle..